Create your own naturally flavored water with fruits from mints, lemons, limes, strawberries, mangos, oranges, citrus and more.Also makes a great gift for newlyweds or new homeowners. 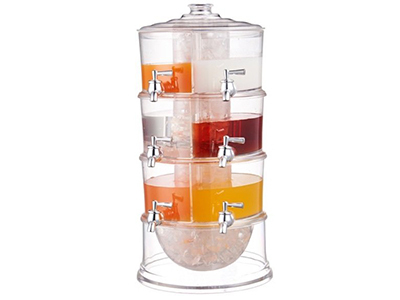 3-layer Beverage Dispenser includes 6pcs removable ice cores and 6 seperated juice containers, drink 6 different chilled beverage at the same time.Also Includes free ice core so you can cool your favorite drinks.Perfect for strawberry, raspberry, orange, lemon, lime and more. 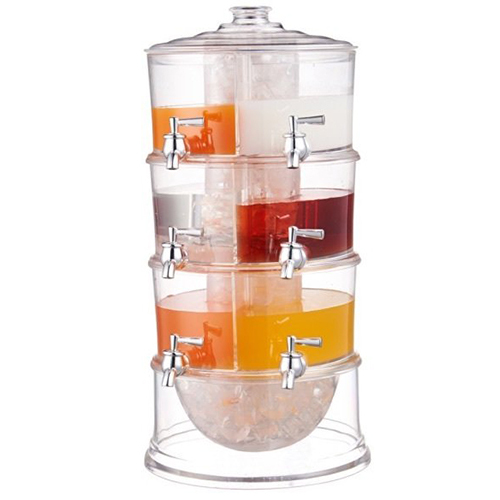 3 tier elegant design includes 6pcs removable ice cores and 6 seperated juice containers, drink 6 different chilled beverage at the same time. Ice core is ideal for cooling your favorite drinks. can be filled with ice for additional cooling; Good way to keep drinks cool. 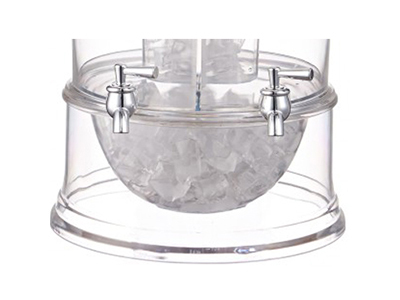 Acrylic 3 Gallon Beverage Dispenser Will not break if it tips over, making it just as safe and easy to serve cool, refreshing beverage. Lighter for transporting. Just lift off top with handle and add your favorite beverage, ice, fruit or sweeteners.Features no-drip, easy pull spout for dispensing. Great for parties or everyday use. 1.How does the beverage dispenser work? 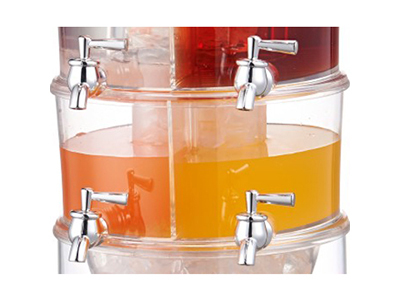 Just lift off top with handle and add your favorite beverage, ice, fruit or sweeteners.Features no-drip, easy pull spout for dispensing. Great for parties or everyday use. 2.Great way to your healthy lifestyle. This is a great way for you and your family to stay hydrated drinking refreshing fruit infused water. Your children will love it too.it's a great alternative to high sugar soft drinks. CAUTION:Be careful when you place cold ice in the infuser. WARNING:1.Do not use in oven or microwave.